Alpine has left out quite a few "standard" features in its first Apple CarPlay-enabled head unit, the iLX-007. There is no Bluetooth connectivity, HDMI port or additional USB ports for hooking up external media. There is, however, an Auxiliary In connection which is capable of audio and video input. The AUX In port will accept a mini AV plug pin, but if you want to play videos, you will need a cable that supports it. 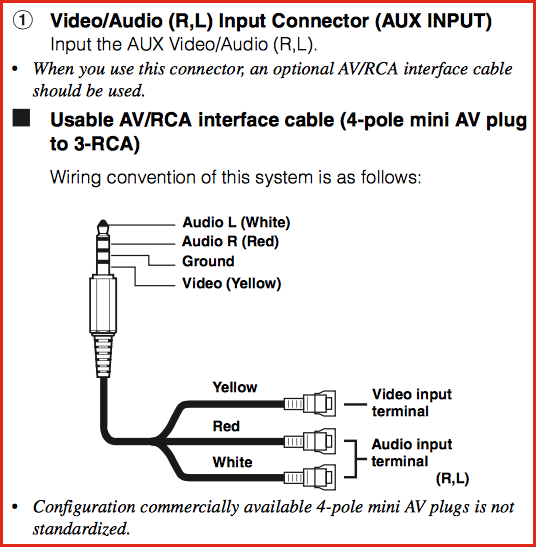 As mentioned in the graphic, commercially available 4-pole mini AV plugs may not work. You may have to rewire those cables so that the connections match the diagram above. The other option is to purchase the cable directly from Alpine of course. The owner's manual mentions the cable is sold separately, but I haven't been able to find any information on the price yet. Previous Alpine models use similar cables. 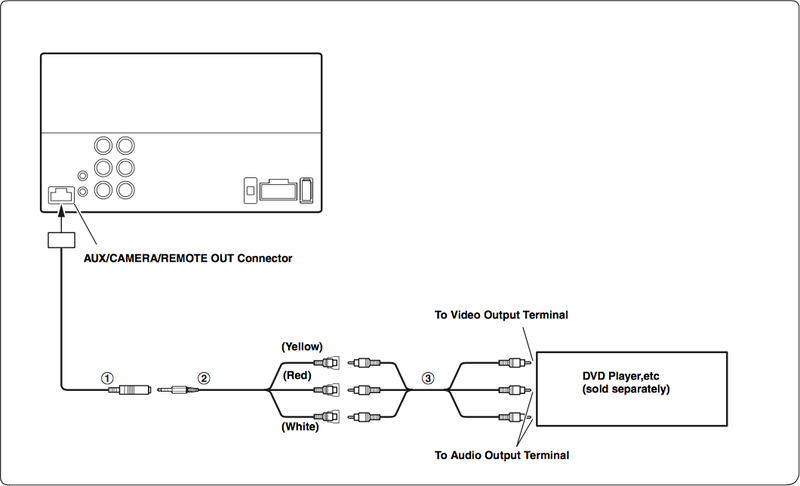 Once you find the correct cable, you should be able to hook up an external video device like a DVD player and watch videos on the iLX-007. Alpine could have saved everyone the trouble and put an HDMI input on the device. But seems like customers will have to make do with a customized RCA connection. If you want to listen to audio alone through the AUX input, you can get a 3-pole mini AV plug to RCA/mini AV cable. If you use a 3-pole to 3-pole stereo 3.5mm cable you should be able to connect any of today's smartphone's that have a 3.5mm plug and listen to your music. It doesn't make much sense for Android users to buy the iLX-007 because CarPlay is its main feature. Of course, you can use the AUX Input for playing your media but there are cheaper options than this head unit out there. I cant find the cable, any idea where to buy it?